There’s a reason that payday loans are becoming more and more popular. Who couldn’t use some cash until payday? Bills don’t rearrange their due dates around our paycheck schedules, which for most of us are constantly shifting. Our budgets fall out of balance, and we find ourselves wishing we had our next paycheck now – we know it’s coming, but the expenses are already here! Sometimes waiting until we get paid again just isn’t an option. 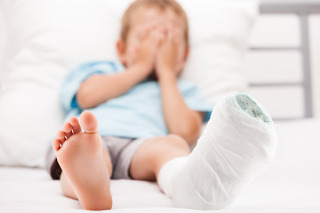 If you find yourself in the emergency room, the auto repair shop, or if you have an appointment that requires childcare services for even a short time, you need cold hard cash, and you need it today. With a short-term online loan, you’ve got what you need – cash until payday, and peace of mind! Cash Until Payday Is Great for Planned Expenses Too! Saving money is hard! We all try, but a good percentage of us never manage to put away as much as we’d like. When we were saving for the holidays or a special occasion, it’s particularly disappointing to approach the big day and realize we can’t pay for the gift or the celebration dinner that we had planned. With a payday loan that provides cash until payday, you can keep your plans, enjoy good times, and make memories with your loved ones, and still stick to your budget! Most sales aren’t worth borrowing money for, but sometimes the math works out. Large electronics purchases, vacation specials, and home improvement deals are sometimes so great that you’d kick yourself for a month if you let it pass you by – but they disappear fast! You’ve got to grab it quick or it will be gone, and payday is a week or more away. That’s when borrowing cash until payday can actually save you money, as well as making life more fun! Another reason payday loans have gotten so much more popular recently is the ease and speed of the process. Remember how traditional loans work? A long application, a visit to the bank branch to watch the loan officer go through your qualifications and credit history, followed by several days of waiting to find out if your loan will be approved. Getting cash until payday is so much simpler and faster than that, you’ll hardly believe it’s the same business. Complete the application – it takes mere minutes – and you'll have your approval in just seconds! There is no credit check, so even those with imperfect credit can be approved as long as their current employment and circumstances meet the basic requirements. Cash Loans can make your worries disappear quickly and easily. Most people can relate to this experience: sitting down to pay the bills, tapping away at the calculator, comparing what’s going out to what’s been coming in… and they don’t balance out. Whether you’re the type who’s great at keeping a budget or someone who just “wings it” and hopes for the best, coming up with a shortfall is an anxious experience. Anxious, but very common, especially these days! You could try to “juggle” your income against your due dates, borrow from family or friends and hope you’re able to pay them back promptly and not damage your personal relationships, look around for something to sell or pawn – or seek out a short-term online cash loan to fill in the gaps. Have you ever looked at the due dates on your bills and wished you could spend next week’s paycheck now? You know it’s coming. There’s plenty of money coming in to meet your needs – it’s just not necessarily there until after the payment deadlines! Use cash loans to smooth over those deadlines. Borrow what you need, pay everything off for the month, and sit back and relax while the loan repayment comes directly out of your bank account on payday. The remainder is yours free and clear, with the bills all paid off! Nothing messes up your budget like an unexpected expense. Just when you think your budget is balanced to the penny and all your bills are accounted for, something pops up to throw a monkey wrench into the works. Whether it’s a speeding ticket, a medical bill, or a car repair, these very ordinary expenses can create some extraordinary problems. 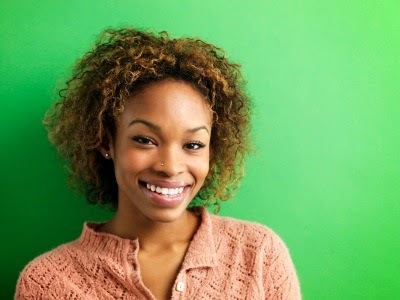 Fortunately, cash loans are the quick, simple source of extra funds when you need to keep your finances in balance. When you think about applying for a loan, you probably envision putting in an application, maybe meeting with a loan officer, and then waiting at least a few days to find out if you’ve been approved. That’s the old way. Welcome to the internet age! You can apply for cash loans at any time of the day or night, and from virtually anywhere! Take a break during your work day to apply. Do it from home, on your laptop or tablet while you’re sitting on the couch watching tv. You can even apply from your phone – which means from anywhere you’ve got a cell connection! The parking lot. The restaurant. Even from your car. That might sound silly, but you get the point- anywhere! The convenience is absolutely unsurpassed – no more keeping to bankers’ schedules! Convenience isn’t the only advantage to online cash loans. The speed and simplicity just can’t be beat, and when you need money, the fewer complications the better. Not only can you apply anytime from anywhere, but the process is supremely simple. The application is only a few questions long, and approvals are received in seconds. There’s no waiting, no stress, and your funds take mere hours to be transferred to your bank account. It’s not easy to maintain a flawless credit record these days. Creditors are being more strict about extending credit, and much quicker to slap on a penalty or declare someone in default. Moreover, it takes fewer negative marks than ever to prevent one from being approved for a loan, charge card, or other type of consumer credit. Basically, those institutions are judging their potential customers not on their current ability to repay the funds they are asking for, but on seven to ten years of varied and unknown history. There have been enormous changes in the American economy in the past ten years, and more people than ever have lost jobs or even homes, having their credit records devastated through no fault of their own. If you’re one of those who can no longer get credit through traditional means, you might not know that cash loans are a great option. Unlike traditional loans and credit cards, fast and easy online cash loans do not rely on your credit score to determine your credit-worthiness. Decisions are based purely on your current circumstances, not those of the past, so if you have sufficient steady income and direct deposit to a US bank account, there is nothing else you need to prove. You've decided that some extra money is necessary to meet all your obligations, and you have no time to wait around. Simply click this link to complete your quick and easy application with some very basic information about yourself, your income, and the bank account where your cash will be deposited. You'll receive a decision about your application in just minutes, and a lender will be in contact with you almost immediately to help you get the cash loan you need. The process is quick and easy, as well as safe and secure, and you'll most like qualify for a loan even if your credit isn't the greatest. What are you waiting for? The sooner you apply, the sooner you'll have the cash you need. If you’re approaching this holiday season with the idea that it’s going to be a lean one, it’s time for a perspective reboot! There are lots of creative ways to make your gift budget go further -sure, you can make your party a pot luck, give handmade gifts, and scale back on the travel, but wouldn’t it be more fun to do what makes you and your family really happy? What you need is to be able to spend the extra cash from some paychecks you haven’t even received yet – and the key to that is a Christmas loan. It’s a great way to do more with what you have – and what you’ll have soon. One thing that keeps many people from considering a loan as the solution to their financial woes is what they’ve heard about the process. The traditional borrowing experience is long, slow, intrusive and full of stress and anxiety! Is it any wonder that nobody wants to go through that if they have any other alternative? Well, here’s your alternative! 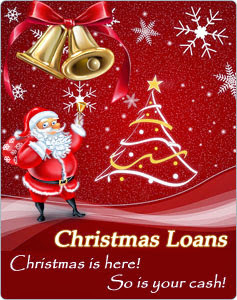 A Christmas loan is so easy to apply for you’ll wonder why you didn’t do this ages ago. First of all, the application is completed online – you can do it night or day, from your home or your office, even on your phone! Even wearing your pajamas! Second, the application form itself is only a small handful of questions – not a single one about your average utility bill or the value of your car. Best of all there’s no wait! Instead of waiting days to find out if your loan will be granted, approvals are delivered in mere seconds! Just think of all the ways your family’s holiday could be transformed by something as simple as a little extra cash! Throw a party! Take advantage of the holiday sales, and buy loved ones the totally frivolous, extravagant gifts you've never been able to give before! Buy a plane ticket, and spend the holidays with family you haven’t seen since last Christmas, or even longer! Some things are more important in life than others, and it’s a shame to let something as simple as money interfere with important family bonding experiences – and one of those is the joy of being together and celebrating the holidays. If a Christmas loan can make that happen, and create the kind of memories and bonding experiences that you will all remember for the rest of your lives, isn’t that a small price to pay? The holidays are upon us, and there is no way slow that countdown clock. The longer you wait to buy the gifts and make the plans, the more expensive it becomes, and the more difficult it is to find exactly what you're looking for. Wouldn't it be nice to get everything done early, and relax this holiday season? Complete the online Christmas loan application, get your approval in seconds, and depending on the type of Christmas loan you choose, you may be able to have the cash the very same day. You know how great it's going to feel when you have the holiday cash you need, so don't wait any longer. Apply now to make your holidays the brightest ever! If you have ever come up a little short at the end of the month, you know how stressful it can be to face the bills that need to be paid. No matter how carefully you plan, sometimes there just isn’t enough money for unexpected expenses. An emergency situation can get you totally off track with your finances. Instead of running up your credit card with expensive debt you may never pay off, turn to the lender that will get you low interest payday loans. These are short-term, small, and fast loans that you can pay back with your next paycheck. When you use these low interest payday loans responsibly you can count on them to provide you with the extra cash you need without stress, worry, or hassle. If you have never used low interest payday loans before, the process may seem a little intimidating. You’ll soon see that it couldn’t be simpler or easier. First, find a reputable lender. There are plenty of lenders on line, and you can check their licensing and reviews to find the best and most reliable. Also be sure to investigate the fees and interest rates associated with loans so you get the best deal. One of the best and most reputable lenders is GreenLeafLoanGroup.com which offers very reasonable rates and flexible repayment plans. Once you have found a lender you can trust, fill out the simple application. It should only take a minute or two, and approval for your low interest payday loan should be even quicker. Expect to be approved in seconds, as long as your application is complete and you can prove that you get a regular paycheck. Within hours, or at the latest the next day, you will see the cash you need in your bank account. Some people criticize low interest payday loans because too many borrowers use them in an irresponsible manner. If you use a loan only when you really need it, and if you pay it back on time, you don’t have to worry about going into long-term debt or paying outrageous fees. Low interest payday loans are intended to be paid back within one or two pay periods. When you get your next paycheck, pay back the loan, or roll it over for one more pay period. It’s best not to extend it much further or the fees will start to add up and become expensive. Be responsible about low interest payday loans, and they can be useful tools to give you a helping hand when you need it most. If you are in a financial crisis right now, there is no time to waste. The longer you wait, the further behind you get, and the more expensive it becomes as late fees and maybe even overdraft fees from your bank begin to add up. It is wise to act as soon as you realize you have expenses you just can't pay. Simply click this link to be taken directly to the online application where you can apply for your low interest payday loan. You will be asked some very basic questions about yourself, your income, and the bank account where the lender can deposit your much needed cash. Now is the time to take care of your finances and get back on track. What do you do when you need cash in a hurry? Where do you turn when an emergency requires just a little bit of extra money right away? Traditional loans from banks won’t help you; the process is too lengthy and complicated. You could borrow money from family, but who needs the hassle and the lecture? You do have another option, and it’s called a 1 hour loan. You can get cash in one hour from a payday loan provider like GreenLeafLoanGroup.com. Financial institutions like this one are designed to serve you and to get you a small loan fast, even within one hour. Whatever your situation, you sometimes find yourself in a tough financial position. 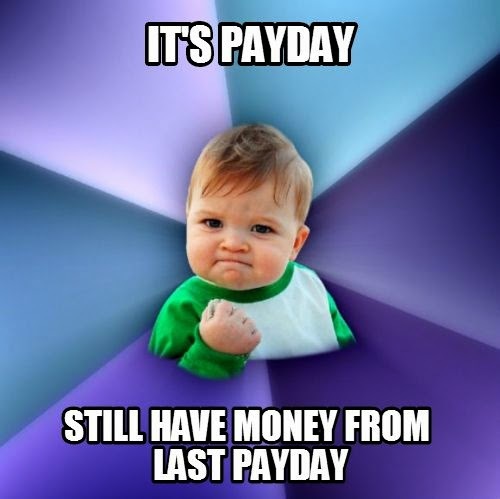 Maybe you have a bill that is due today, but your next paycheck is still a few days away. You might have had a health problem arise unexpectedly, and you didn’t include the medical bills in your careful budget. Coming up short on cash is stressful and it can happen to anyone no matter how well you plan out your finances. Planning for an emergency isn’t always possible, which is why a 1 hour loan is just what you need. Eliminate the stress of being short on cash by applying for and getting a small loan in just one hour. How does a 1 Hour Loan Work? Getting a 1 hour loan is quick, easy, and simple. Fill out a secure online application, which will take no more than a minute or two. Most lenders even have mobile applications, so if you don’t have a computer you can use your phone to get started. Within minutes you will be approved by the lender who will get the cash you need in your account within an hour. If you’re worried about being approved, don’t be. The requirements for most 1 hour loan lenders are minimal. You need to be an adult with a steady paycheck and a bank account. No one will ask for your credit score. When an emergency situation has you pulling your hair out with worry, relax. Apply for a 1 hour loan, and see cash in your account today. The process is easy, simple, fast, and best of all, worry-free. Apply today so you can relax once again. and give you peace of mind once again. An emergency can pop up at any time, and when it does, it can wreak havoc on all aspects of your life, including your finances. 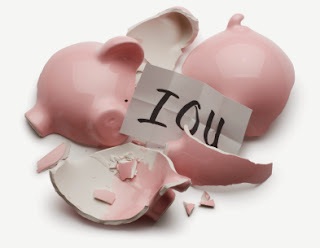 No matter how careful you are about your money, how you pay bills and how you save, an unexpected crisis can end up wiping out your savings and leave you worrying about money and bills. Maybe your spouse has lost his job or you had a car accident with mounting medical bills and not enough health insurance to cover them. 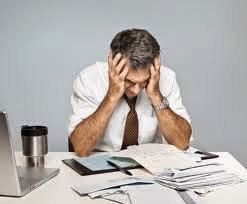 Whatever has happened, you need cash to alleviate your finance problems and your stress. An instant loan just might be your answer. An instant loan is a type of short-term financing that can provide you with quick cash when you need it most. Unlike long-term bank loans, an instant loan does not usually require a check of your credit score or a lengthy application process. You only need to show proof of a regular paycheck to get approved for an instant loan. These loans are typically for small amounts, like $500 or $1,000, and are designed to give you quick cash that you can pay back with your next paycheck. How Do I Get an Instant Loan? 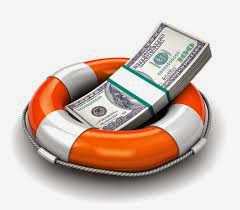 To get quick cash for your emergency situation, start by finding a reputable loan provider. Check for adherence to regulations, reviews from satisfied customers, and a safe, data encrypted website from online providers. Once you feel comfortable working with a particular institution, all you need to do is fill out a quick application for your instant loan and show proof of your paycheck. You should get approval for your instant loan in just minutes. An online provider will deposit cash into your bank account in 24 hours or less. Life is full of emergencies, but you can take some of the stress out of your next unexpected situation by taking advantage of an instant loan. When that emergency leaves you with a hole in your finances at the end of the month, the quick cash of an instant loan can be just what you need to pay your bills and allow yourself to relax. What are you waiting for? Lenders are ready to assist you at GreenLeafLoanGroup.com, so start your application now. Stop worrying—get an Online Payday Loan. Have you come up a little short at the end of the month? Did your last paycheck not stretch quite as far as you thought it would? Have you experienced an emergency and have unexpected bills to pay? If you can answer yes to any of these questions, you should consider taking advantage of an online payday loan. This type of loan is designed for just these situations. Not everyone has the credit score, the time to wait, or the need for a big, long-term bank loan, which is why providers offer quick, small, online payday loans. When you need a small chunk of cash, you can’t beat the convenience of an online payday loan. Imagine going to the bank for a loan. You need to meet with a banker in person, fill out a complicated application, show evidence of a good credit score, and then wait while the bank decides if you are worthy of a big loan with a long-term payback scheme. 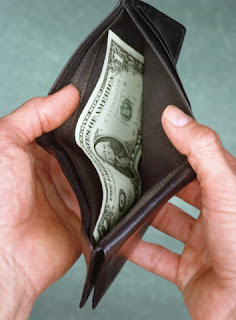 On the other hand, if you choose to get an online payday loan, you will need only a few minutes. Fill out a quick online application, show evidence that you get a regular paycheck, get approved in minutes, and then sit back and wait for the cash to show up in your bank account. Most online payday loan providers will approve you in minutes, and get you the cash you need within a few hours. If you live paycheck to paycheck, even if you are careful about your money and plan your expenses thoughtfully, an emergency can be a major financial setback. The stress and worry that this type of situation causes can be devastating. You may be facing unpaid bills with high associated late fees or high bank overdraft fees if you try to pay those bills with an empty account. There is no need to worry about where the money will come from when you can turn to an online payday loan. You don’t need to have great credit, and you can get the cash you need quickly, so you can stop worrying. Your online payday loan can be paid back when you get your next paycheck, or renewed if you need more time. The entire process is designed to be completely stress-free so you can get back to your normal routine. It is important that you choose an online lender that protects your personal information with up-to-date security features on their website. It is also important that your online lender understands and abides by all state and federal regulations that protect you, the borrower, when you get an online payday loan. GreenLeafLoanGroup.com protects your information with the highest levels of data encryption available in the industry today, and their lenders are reputable with great reviews from many repeat customers. Simply click this link to complete your online payday loan application, and put your financial worries to rest. Why waste a tree by filling out all that paperwork that banks need for a loan? With Greenleaf Loans, your application is completed online, you receive your cash online—you even pay online! Greenleaf Loans can help when you have an urgent financial need and don’t have the time or resources to explore other more traditional lending sources. Using the Greenleaf Loans site offers you several advantages over other online lending sites. Greenleaf Loans offers loans that are easy to obtain because of their simple online application with no traditional credit checks. 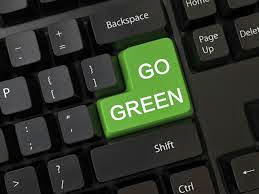 You can access the application by going to GreenleafLoans.com. There you can fill out the application online or you can use the convenient mobile application that allows you to apply for loans with your tablet or smart phone. Best of all, you can apply for the loan 24/7! The application process with Greenleaf Loans is fast and easy, and your response is fast as well. In most cases, you will receive a response in about 90 seconds. If you accept the loan terms, you'll also get your money fast. Normally your cash will come within one business day—even faster if you choose a One Hour Loan that is available in some states. Greenleaf Loans connects you with online lenders using secure data encryption that protects your information. Your online application is safe and secure due to SSL technology that helps guard against identity theft. Greenleaf Loans offers several options to help you get the cash you need. In addition to the One Hour Loan we already mentioned, you also have the option of a Cash Advance Loan, which is paid off with your next paycheck. You could choose an Installment Loan, which allows you more time to pay, or a Line of Credit for recurring needs when you want to avoid going through the application process each time. Not all loan types are available in all areas due to state regulations, but Greenleaf Loans offers the best options for your area. When you need a fast cash loan for emergency expenses, you can trust in Greenleaf Loans. Click here to complete your fast and easy application. Sometimes an emergency or unexpected expense arises that just doesn't fit into your monthly budget. What options do you have? Go to a friend or family member to ask for money? That is just never a good idea. Maybe you can go to your boss and ask for some additional hours, but you won't get the extra cash until your next paycheck two weeks from now. Your bank certainly won't be any help because it will be a long and agonizing process if you request a loan from them. In times like these, a short term loan may be the answer. Short term loans don't require collateral or credit checks. If you borrow from traditional lenders, you will generally need three things: good credit, collateral, and plenty of time. Most traditional lenders such as banks and credit unions require a credit check, and unfortunately, many people have less-than-perfect credit due to past mistakes or unfortunate circumstances. Traditional lenders also usually require collateral, such as a vehicle, to back up the loan, but that is not always possible. By obtaining short term loans online from websites such as NationalCashCredit.com, you can avoid these obstacles, and still get the short term loan that you need. You can get short term loans quickly. The third thing that you need for a traditional bank loan is plenty of time. You have to fill out tons of paperwork and wait for a decision on your loan worthiness from the powers-that-be. We all expect that level of hassle for a large, long term loan such as a home mortgage, but why go through all that for a simple short term loan that you plan to repay within a month or so? Through online lending sites, you can apply online with a simple application, receive a reply from multiple lenders in minutes. If you accept the terms of the loan, you can receive your money direct to your bank account in less than a day in most cases. In some cases, you can get the cash even faster. Expect short term loans to cost more than traditional loans. All this convenience and speed comes with a price however, and short term loans cost comparatively more in fees and interest than traditional loans. Many direct lenders charge from $20-$30 for every $100 borrowed to secure a short term loan to be repaid with your next paycheck. So be sure that you really need a short term loan. For instance, if you need cash for a car repair so you can get to work and keep your job, that would be a good reason for a short term loan. On the other hand, if you have a want that can be postponed, such as a desire to buy a new television set, it would be best to save up the funds you need rather than pay those extra fees for a short term loan. Get your short term loan right now. Applying for a short term loan is quick and easy. Click here to complete your application. You will be asked to complete some basic information about yourself, your job, and the bank account where the lender can deposit your cash. It couldn't be simpler, so apply now to get the cash you need. Remember the story of the golden goose? Whenever the owner of this amazing magical goose needed extra cash, he simply demanded a golden egg from the golden goose. Cool, huh? It would be nice if we all could solve our financial problems as easily, but, alas, most of us cannot demand free cash from some magical animal. However, these days, we can get cash almost as fast with online cash options. With today’s modern technology, it is possible to complete all the business needed to get a loan in a fast and effective manner. Online cash can quickly get your finances back on track, however, there are several factors to consider. Look for online cash providers that are secure. Not all online cash websites are created equal, so you want to look for one that offers encryption and SSL certification, such as Americash Advanced. This higher level of security helps protect the sensitive information you submit online so that it does not fall into the wrong hands. Look for online cash sites where you can apply easily and with no obligation. Some banks and online lenders make you pay an application fee. This means that you are obligated to pay for the cost of examining your loan documents, even if you are denied an online cash loan. It is better to find a site that connects you with several potential lenders without any obligation to pay anything if you are denied a loan or if you simply change your mind before accepting the terms of the loan. It is also important to look for sites with simple online cash applications that require information that you should readily know. Most want basic contact information, information about your job and when you get paid, and information about a bank account where your funds can be deposited. Look for sites where you can get online cash quickly. One of the best advantages to getting online cash is the speed at which you receive your funds. Usually, you will get an answer in minutes and the cash will normally be deposited in your account the next business day, if you accept the terms for the loan. Look for online cash options that offer several types of loans. Some sites offer payday loans, whereas others specialize in tax advance loans. If you need more options, consider sites that offer installment loans and lines of credit as well as online cash loans. Consider the cost of getting online cash loans. While the golden egg cost its owner nothing (other than, presumably, the cost of keeping the golden goose well-fed and happy), real online cash actually has a price tag attached. The cost is usually higher than typical bank loans that require more time and hassle, and the repayment terms may be different than ordinary loans as well. So make sure you read your online cash loan terms carefully before signing on the electronic dotted line. Applying for an online cash loan is simple; just click here to access the fast and easy application. You'll get a decision from a lender in just minutes, and if approved, you'll have cash in your bank account usually by the next business day. Why wait any longer? If you work a job, you know that sometimes it is hard to meet with a banker during normal banking hours. However, the need for a loan can happen anytime. What you need is the option to apply for a loan anytime, 24/7. What you need is the opportunity to meet with multiple lenders at your convenience—not theirs. This is when you need to look for a 24 Hour Payday Loan. The best way to accomplish this is through an online lending website such as Greenleaf Loan Group.com. 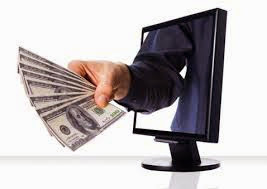 This website and others offer a way to connect with multiple lenders who are standing by, ready to offer you a 24 Hour Payday Loan almost any time of the night or day. You need to be willing to accept higher loan terms than those of a normal bank loan. 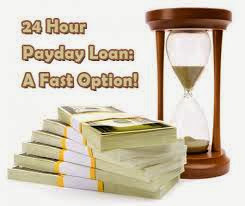 The rates and fees are generally higher because of the convenience and speed with which a 24 Hour Payday Loan gets you the cash you need. Be sure to read the loan terms so you understand the interest rates and fees associated with your 24 Hour Payday Loan. Most loans are repaid within a month, and the repayment amount will be withdrawn from your bank account on a specific date. Be certain you understand when the loan needs to be repaid. Repaying your 24 Hour Payday Loan on time is very important, so some lenders will not loan to active duty military because they may be called overseas before the loan is repaid. You CAN get the money you need for those unexpected needs at your convenience. If you meet these simple requirements, you can click here to apply for a 24 Hour Payday Loan with a good chance of success. Most lenders are understanding about past bad credit issues, and you will receive a reply within minutes. If you accept the terms of the 24 Hour Payday Loan, simply sign your loan agreement, and you will receive your money in a matter of hours — usually the next business day. Why wait any longer for the cash you need? Apply now! You know that queasy feeling you get in the pit of your stomach when you have a utility or phone bill due and not enough money to pay it? Perhaps when you first got your job, you had wild dreams of working your way up the corporate ladder and becoming part of the elite group of "Who's Who" in the "40 Under 40." Yet, years later, life happened; you got married, incurred unforeseen bills, and have children to support. However, how can you live without electricity or a phone for emergencies? I was in this exact situation, which is why I chose to share my Green Leaf Group loan review. At my place of employment, I relied on overtime to help me get ahead. Unfortunately, within the past year, staff cuts were made all around, and our hours were limited, as well. Soon, I was literally living paycheck to paycheck with no sign of relief in sight. Even with coupons, after paying my rent, health insurance, car payment and insurance, groceries and gas, I felt like a pauper who needed to stand on the sidewalk and beg for kindness. Not to mention, I had a utility bill coming due, and I knew I didn't have enough money to pay it. Our unseasonably hot summer had sent our electric bill sky high, and with the prediction of several more weeks of 100 degree weather, my family and I would be putting our lives at risk without air conditioning. My initial thought was to ask family members for some short-term financial assistance. Unfortunately, I was turned down at every corner. My relatives were struggling themselves, and none of them had enough to lend me what I needed. I went to my bank, and explained my situation, but, with my tainted credit, I was given the pity talk with no finances to speak of. Finally, in desperation, I went online searching for a loan, and came across a very positive Green Leaf Loan Group review written by a happy customer whose situation was just like mine. I immediately visited GreenLeafLoanGroup.com to find out more. This was better than family! Can you imagine getting money in one hour, or taking out an installment loan and paying it back over several months? I couldn't! Not to mention, the entire process takes place online with NO scary interviews to think of. Given that I was in need, I quickly filled out the application. What I received is why my Green Leaf Loan Group review is so positive. I went with the one hour loan option. Why? Because I wanted to see if it really worked, and it did! After getting approved, I was called by the lender within 15 minutes, and the customer service representative could not have been nicer and more accommodating. Immediately, my stomach stopped being sour, and I stopped feeling the need to take doses of that famous pink liquid. The first thing I did was pay my utility bill, thankful that my family would not have to endure the long, hot and sweaty summer without electricity. After that, I paid our cell phone bill, happy we would have a phone for emergencies and we wouldn't lose communication with each other. I was also pleasantly surprised to learn that I could have even applied using Green Leaf’s mobile site! Because I want others to know that there is help out there, I had to share my experience. All you have to do is give it a shot! Thank you for reading my Green Leaf Loan Group review. Our thanks to Chad for taking the time to write a Green Leaf Loan Group Review. We are glad that he had a great experience with Green Leaf Loan Group, and we want that for each and every person who comes to our website to get a loan. Join Chad and many other happy customers who got the cash they needed - apply now at Green Leaf Loan Group. Sometimes life comes at you hard and fast, and you need cash quickly in order respond to emergencies. In such cases, Green Leaf 1 Hour Loans can come to the rescue, providing you with fast cash advances within an hour, in most cases. Because the application and funding are all online, Green Leaf 1 Hour Loans are the fastest way possible to get the cash you need when your own cash reserves are empty and your options are limited. The application process for Green Leaf 1 Hour Loans is simple. You just need to provide a few basic pieces of information such as your name, age, employer information, and proof of an active bank account. In some cases, you may be asked to submit additional information, but that is usually not necessary. And you don’t have to worry about the time or risk of denial that comes with credit checks. Good credit, bad credit, or no credit at all, Green Leaf 1 Hour Loans is here to provide the cash you need. Your application is online, your response is online, and your cash is deposited directly into your bank account. What could be easier? The Green Leaf 1 Hour Loan website is only a click away, night or day, and we have lenders that work with us 24/7 on every day of the year! After you submit your information to Green Leaf 1 Hour Loans, you will receive your answer -- usually within 90 seconds. Be sure and review the terms you are offered. All this speed and convenience mean that your fees and interest rates will likely be more than traditional lenders, and you are usually expected to pay when your next paycheck arrives. However, if the terms you receive work for you, simply accept the terms, and Green Leaf 1 Hour Loans will work to make sure that your money will be in your bank account in about an hour. Who Wouldn't Want a No Credit Check Loan? Having a proper education is the difference between working as a quick order cook or a car sales man and working as a nurse or lawyer. With hiking prices getting a college education is not easy for any of us. You might not have the financial resources to pay for college and if you don’t have an excellent credit record, financial institutions are no help. Not being able to get a proper education has the potential ruin your life forever. What can you do, who can help you when it really matters? Your family might not have the resources to help you. So what do you do? Have you ever considered a no credit check loan? Don’t lose hope, there are other options for you to consider. Why Do You Need A College Education? Except for the difference in the type of work you might get with a school diploma or with a college degree there are other aspects to look at. The Bureau of Labor released statistics that proves a college degree can make a big impact in times of economic difficulty. This was acutely true especially after the great recession. Individuals without a college degree stood at an unemployment rate of 8.3 percent. People with a little college education showed only an unemployment rate of 7.7 percent. People with an associate degree showed that unemployment in their sector was only 6.2 percent, and with a bachelor’s it went down to 4.5 percent. Getting a college degree can make a big impact on your unemployment rate and also on your quality of life. In addition, it improves your earning potential and your living standards. However, what if you are struggling to pay for college? Where can you turn? One thing you should do is look into getting a no credit check loan. Below are just several of the many perks of getting a no credit check loan. These loans do not check your credit, so a depraved credit record will not influence the approval of such a loan. They offer loans even if you have no or very little credit records to show, where other institutions need a long and decent credit record. Depending on your income, you can request a loan for any amount, small or big to suit your needs. You do not need any surety to secure a loan of this kind. No credit loans do not depend on the economy and thus it will not influence your loan in any way. Approval is usually instant or within a couple of hours. If you are not approved, you can always return to apply after sorting out whatever it was that prevented your loan from being approved the first time. Do you want to be one of those people that just sits around all day not knowing what to do just because you could not afford to attend college? There are choices available to assist you, stop procrastinating and make this change in your life. No one else can do it for you. Get your no credit check loan today! Safety is the number one concern for most people seeking an online loan. Providing both personal and financial information through a website-based application is nerve wracking for most people, explains safe and secure online loans lender Mark Foster. “These days it’s easy to apply for a loan and get cash almost instantly,” Foster said. “Unfortunately it’s also just as easy to get ripped off or scammed. Customers are concerned—and they should be.” Foster is one of the many lenders that fund loans through Green Leaf Loan Group. Due to customer concerns, Green Leaf Loan Group has increased software security by using proven encryption software by GoDaddy. “Potential customers need to look for and click the encryption seal on any website before they enter any personal financial information,” Foster said. “It doesn't matter if a customer is applying for a loan or purchasing a pair of socks on a bidding site—if the site isn't encrypted, the person isn't very safe.” Safe and secure online loans are short-term, no collateral loans. Most safe and secure online loans are payday loans and/or installment loans that customers can apply for and receive in a short amount of time. Most customers can apply for a safe and secure online loan in just 5 minutes. Most customers report receiving their loan proceeds within 1-2 business days from a verified direct lender. “I've had my credit card information stolen from me before,” safe and secure online loans customer Brenda A. said. “Naturally I was apprehensive about providing very personal information about myself online in order to get a loan. Once I actually got on the safe and secure online loans website, I felt better. Safe and secure online loans software developers took the time and effort to ensure their website was as safe as it could possibly be. I was reassured over and over again that my information was safe. And it was. If I ever need fast cash again, I’ll definitely work with the same lender.” Safe and secure online loans are easing customer’s preconceived notions about applying for a loan online. According to Foster, customers just want to know where their information is going and who can access it. Back to School is Right Around the Corner! Get a Quick Loan Now to Cover Your Kids’ School-Related Needs! Back to School - Quick Loans are Available Now! December correlates to Christmas. October is synonymous to Halloween. When August arrives it means it’s time for back to school shopping. Many parents spend close to $500 per child on backpacks, books, pencils, shoes, and clothes during the month of August to prepare for the start of school. Unfortunately, many parents don’t have that kind of money upfront to spend. Instead of sending your kids to school in last year’s shoes and clothes, enlist the help of a quick loan for your kids’ back to school needs. What’s a back to school quick loan? A back to school quick loan is a short-term loan against a borrower’s paycheck. As long as an applicant is employed, he or she should have no problem qualifying for assistance. A quick loan enables a borrower to get cash up to $2500 when they need it most. Parents can get the cash they need for school clothes or supplies now and pay the loan back when they have more cash on hand. I’m a parent who needs back to school supplies for my child. I have bad credit. Can I still qualify for a back to school quick loan? Absolutely. Our direct network of lenders only care about a borrower’s employment history. Our lenders believe that income, not a credit score, is what determines whether or not a borrower can repay the amount they borrowed. If you have a job that pays you money, you can be approved for a quick loan no matter what your credit score is. How soon can I get my cash from the back to school quick loan? You can expect to receive your cash in 1-2 business days. However you could get it even sooner than that depending on what time of day you apply. Some customers have reported receiving their cash in less than 24 hours! If you’re a parent and you need cash for back to school, apply for a quick loan now. Hurry, these low rates won’t last long! January, February, and March are some of the most financially difficult months of the year. On average, each American family spends close to $800 each December on gifts and décor. For a family that makes less than $50,000 a year, that amount of money can really take a toll on their finances. 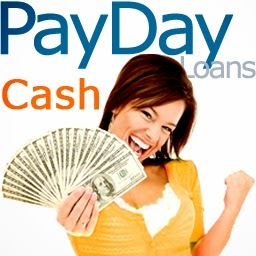 The Speedy Payday Cash Loan is a service designed for customers who need the money from their upcoming paycheck early. A Speedy Payday Cash Loan lender will loan a potential borrower the amount of the borrower’s upcoming paycheck for a small fee. Most borrowers need the money from their paycheck early so they can make a payment, avoid overdraft fees, or catch up on other expenses. 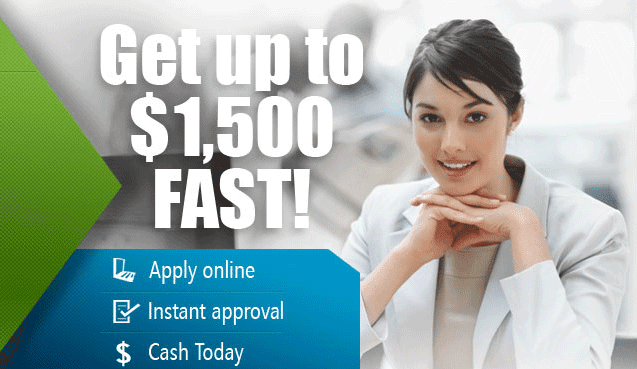 For most Americans, the Speedy Payday Cash Loan is the safest option for fast cash. 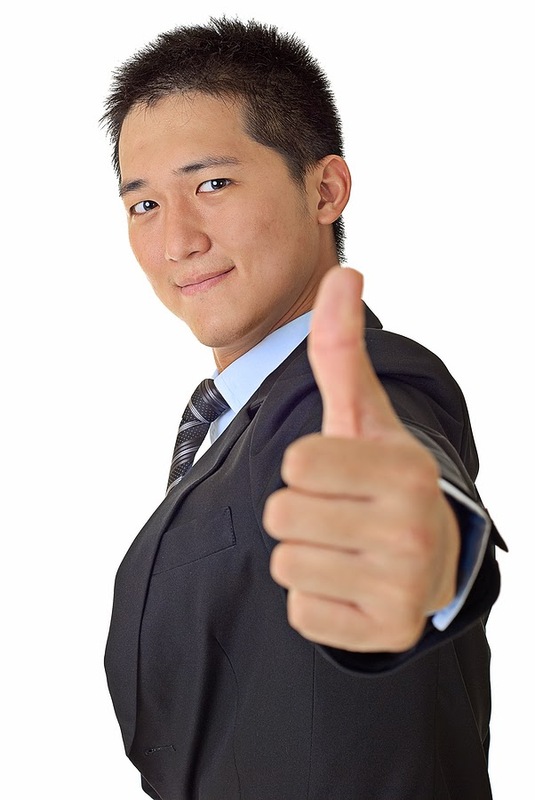 Bad credit borrowers and low-income borrowers can be instantly approved for a Speedy Payday Cash Loan! The entire application and approval process takes less than 5 minutes to complete. It’s safe, easy, and fast. Click the above link or image to see how much money you could get when you use a Speedy Payday Cash Lender. Now you can get up to $2500!!! Green Leaf Loan Group, a financial services company that specializes in matching potential borrowers with direct lenders, has gained a lot of positive press in the past few months. Their $2500 payday loan is increasing in popularity among low to middle class American citizens under the age of 40. Most Green Leaf Loan Group customers are single moms, blue collar workers, and people with subprime credit. "Before I applied for a payday loan, I read some Green Leaf Loan Group reviews," Maria V, a single mom from Texas explained. "It was nice to read about other people's experience with the company. It's comforting to me to know that I'm not the only single mom out there struggling. It's nice to know that companies like Green Leaf Loan Group are willing to help us. I'd definitely suggest reading Green Leaf Loan Group reviews to anyone considering Green Leaf Loan Group as their payday loan servicing company." Green Leaf Loan Group is popular for three main reasons: They’re professional, their website is safe, and they’re fast. Most customers can’t afford to wait days for financial assistance. As long as a potential borrower is employed, has a bank account, and makes at least $1000 per month, he or she can be approved for a Green Leaf Loan Group payday loan. Once a potential borrower meets these specific qualifications, Green Leaf Loan Group will match the potential borrower with a direct lender that can fulfill the potential borrower’s request. Green Leaf Loan Group will narrow it down to the direct lenders who can provide the potential borrower with the most money at the lowest cost. If the potential borrower is happy with the match, the potential borrower will work directly with the direct lender from this point forward. If not, the potential borrower can walk away without paying a cent. It’s an easy and free service and more and more people are jumping on the Green Leaf Loan Group bandwagon. 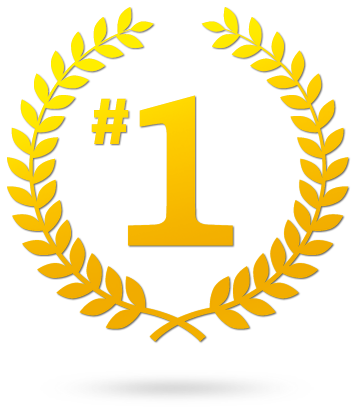 “Green Leaf Loan Group reviews helped me choose them as my number one loan provider. When I discovered the reviews, I was desperate. My credit score has been in the gutter since college. I filed for bankruptcy at 22. When my car broke down I literally had no money to tap into. I have a great job, but that didn’t matter to the 5 banks I applied for loans at. After reading the Green Leaf Loan Group reviews, I knew there was no way I wouldn’t get approved. And I was right. I was instantly approved and I received $1000 the same day I applied.” --Alison M, 24, New Jersey. “Green Leaf Loan Group helped me get $2500 in less than an hour. Need I say more?”-- Tom R, 32, Arizona. “If you need a fast and reliable company, Green Leaf Loan Group has got you covered.” --Robert S, 42, Texas. “Green Leaf Loan Group was literally the only company that could help me. I’m a divorced single parent with over $50,000 in student loan debt. If anyone has ‘don’t lend me money’ written on their forehead, it’s me. But Green Leaf Loan Group’s direct lenders did lend to me. They gave me $1500 in less than 4 hours after I applied. The lenders don’t judge you—they really want to help you get the money you need for whatever you need it for. Green Leaf Loan Group reviews helped me make my decision and I hope this review helps you fill out the online application. Get help if you need it and let Green Leaf Loan Group do all the hard work for you.” Michelle E, 29, FL. For more Green Leaf Loan Group reviews, more information on Green Leaf Loan Group’s popular payday loans, or to apply. please click the available links. Liberty lending personal loans are short-term loans for American citizens who need some extra cash. Liberty Lending personal loans offer the flexibility, convenience, and safety that most Americans look for when applying for a personal loan online. Most Americans choose Liberty Lending personal loans because they offer no credit checks, no faxing, and a no hassle application process. Amy Jackson, a Liberty Lending customer, a nurse, and a single-mom of two small girls, knows all too well how hard applying for a loan can be. 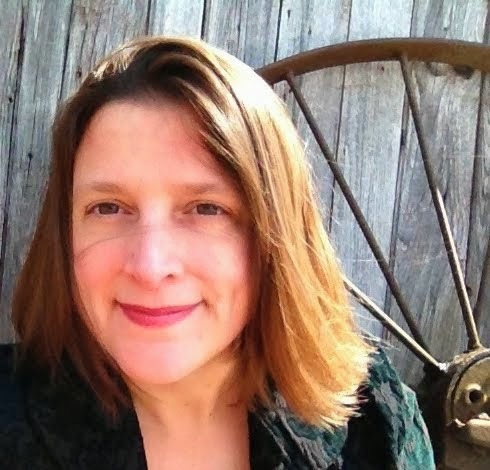 "As a single working mom, I don’t get too much free time," Amy said. "Before finding Liberty Lending personal loans, I kept getting rejection after rejection. I don’t have the best credit score, and with only once source of income, many companies just wrote me off. I have a great job—but that didn't matter to them." Amy did a quick Google search and came across Liberty Lending personal loans. She read that they offered a no credit check personal loan and was immediately sold. "I knew Liberty Lending was the right company for me. I applied for a $2500 personal loan. I was approved less than 5 minutes after I submitted my application. I received my Liberty Lending personal loan the very next day. I couldn't believe how incredibly easy the process was. I can't believe I spent so much free time looking at other companies." Liberty Lending caters to Americans just like Amy. Liberty Lending customers can get approved for up to $25,000 instantly as long as they’re employed, have a bank account, and are over the age of 18. Liberty Lending doesn't consider credit scores when granting loans. Liberty Lending focuses on a person's employment and whether or not a customer will be able to repay the amount they borrowed. "I can't thank Liberty Lending enough," Amy said. "They really have revolutionized the entire fast cash industry. Getting a personal loan has never been easier or faster." If you’re looking for some money to get through a difficult time, you really only have three options: Take out a loan, use a credit card, or grin it, bear it, and face the fees. Credit cards are difficult to pay off and “waiting it out” can have some severe consequences. A loan is really the only affordable choice available. However, not all loans are alike. 1). Cash advance loans are the quickest way to cash. Applying and getting approved for a bank loan can take days, sometimes weeks. And applying for a bank loan isn't a guarantee you’ll get one. A cash advance loan is the fastest short-term financial service available. As long as a borrower makes at least $1000 a month, has a bank account, and is over the age of 18, he or she can get approved instantly and receive their loan proceeds within 1-2 business days. No credit checks are required. 2). Cash advance loans are hassle-free. There is no faxing, no credit checks, no waiting in line, and no long paperwork involved with cash advance loans. The entire application takes less than 5 minutes to complete. You can apply, get approved, get your cash, and get on with your life. 3). Cash advance loans are cheap. A cash advance loan is a short-term loan, fee-based loan. Borrowers only have to pay a fee in order to borrow (this fee is taken out after a borrower receives a loan). This business plan enables borrowers to be debt-free by the time the loan is due back. 4). Cash advance loans are convenient. Borrowers can apply for a cash advance loan at home or over their mobile device whenever they want. After a borrower submits his or her application, a cash advance loan direct lender will call them to discuss the loan and what bank account to deposit the funds into. 5). Cash advance loans are safe. Our cash advance loan web service is encrypted to protect customers from identity theft and other potential issues. Borrowers have the peace of mind that their personal financial information won’t be compromised. Don’t wait to get the money you need. Apply for a cash advance loan today. According to financial professionals, one out of every four Americans over the age of 18 has a “subpar” credit rating. Their definition of “subpar” is a score equal or less than 700. For people in the 500's and 600's, obtaining a loan with a major bank or financial institution is just not an option. For years, groups of people with lower-than-average credit scores just accepted that there was nothing they could do about it. Many people had no alternatives to go to when they faced a financial crisis. Low credit score customers that choose Green Leaf Loan Group's famous payday loans no credit check service can eliminate themselves from the debt cycle that they are sure to face if they let their financial issues go unsolved. Tisha’s story is not unique. Thousands of people face car repairs, home repairs, unexpected travel expenses, medical bills, and other bills that they can’t pay on a daily basis. Most of the time, these people will wait until they receive their next paycheck. Unfortunately, by that time, they are already facing overage charges and late payment fees. Payday loans no credit check is one of the few services out there that can help applicants get the cash they need now without going into long-term debt. People that have a low credit rating tend to have a significant amount of debt. Many people with really low scores have filed for bankruptcy in the past or have neglected to repay a debtor. Many financial institutions do not want to work with someone who, based on previous experience, can’t repay the amount they borrowed. Once a person is in financial trouble again, he or she will have a lot of problems finding someone to lend to them. Many people will accept that no one will, and the debt cycle and bad credit score cycle continues. Payday loans no credit checks required don’t work the same as a bank loan. A payday loan is a short-term, fee-based loan. As long as an applicant is employed, has a bank account, and is at least 18 years old, he or she can be instantly approved for up to $2500. Direct payday loans no credit check lenders automatically deposit the loan and deduct the payments directly from a borrower’s account. This ensures that payments are made on time. Customers who apply for a payday loan no credit check required can expect to receive their loan proceeds within 1-2 business days. In some circumstances, our payday loan no credit check direct lenders can deposit a person’s loan the same day that person applied. The entire application process takes less than 5 minutes to complete. The hardest thing about having a bad credit score is the stress involved. Many bad credit customers are ashamed of their credit score, anxious about it, and even worry that they’ll never qualify for financial assistance in the future. Payday loans no credit check required lenders disagree. If you need cash fast and you have a poor credit score, a payday loan with no credit check might be right for you. Our direct network of lenders are available 24/7, 365 to help you get the cash you need now.